The company posted a 58-percent decline in net profit in the 2017/2018 financial year, with the figure coming in at US$878 million. Fortescue Metals (ASX:FMG) has posted a 58-percent decline in net profit in the 2017/2018 financial year, with the figure coming in at US$878 million. In comparison, during the 2016/2017 financial year the miner posted a profit of over US$2 billion. In its full-year results, published on Monday (August 20), the company also reported that revenue was down 18 percent to US$6.88 billion, a decline from US$8.45 billion the previous year. Fortescue says that the fall came as its average iron ore price received was reduced to US$44 per dry metric tonne, compared to US$53 the previous period. 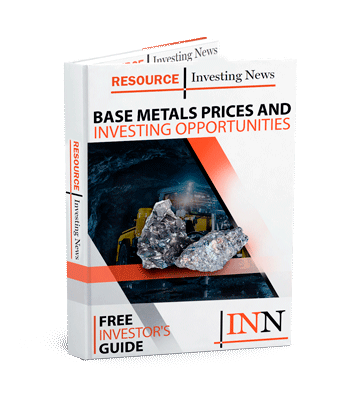 “The reduction in average price received is primarily attributable to high steel mill profitability in China, which incentivizes use of higher iron content ores to maximize production and has resulted in revenue realization of 64 percent of the average Platts 62 CFR Index price in FY18 compared to 77 percent in FY17,” says the company in the report. C1 operating costs were down though, averaging US$12.36 per wet metric tonne (wmt) — a 4-percent reduction compared to the 2017 fiscal year. For shareholders, the news wasn’t rosy, with Fortescue cutting its fully franked final dividend in half to 12 cents, bringing its full-year dividend to 23 cents per share. Fortescue CEO Elizabeth Gaines was all good news in the release, saying that the company achieved an outstanding finish to the financial year with a record June quarter delivering total shipments of 170 million tonnes for the year. “Importantly, our ongoing productivity and efficiency improvements have generated a record low annual C1 cost of US$12.36/wmt. We remain focused on maintaining our cost leadership position by capitalizing on technology and innovation initiatives to offset inflation and optimize operating margins,” she added. Gaines pointed to work restructuring the company’s balance sheet to reduce debt and reward investors. “FY18 saw Fortescue’s capital allocation weighted more heavily towards shareholder returns resulting in a payout ratio of 62 percent of full year net profit after tax, ensuring that our shareholders benefit from our success following the rapid de-gearing of the balance sheet,” she said. Going off the company’s 170 million tonnes shipped in the last year, Fortescue set its guidance for the next financial year at 165 to 170 million tonnes. The company is also working towards increasing its ore’s iron content in a bid to appeal more to Chinese buyers, who are feeling the pinch as the country pursues a more environmentally friendly approach that requires higher efficiency in steel mills — and higher grades of iron. For that task, the development of the Eliwana project in Western Australia will come to the rescue. Approved by the board of Fortescue in May at a projected cost of US$1.275 billion, the replacement project will deliver first ore by December 2020, and is key to the company’s target of 60 percent iron content in ore to appeal to buyers in China. In Sydney, Fortescue’s shares were valued at AU$4.18, down 1.76 percent, when the Australian Securities Exchange closed on Tuesday. Year-to-date, Fortescue’s share price has fallen by 17.52 percent, while year-on-year its share price is 29.34 percent lower.